The annual IBLA concert of top international artists will be conducted Tuesday at the Lakeside High School auditorium at 6 p.m. The Concert is free and open the public. The performers at this year’s concert range from an operatic soprano to a jazz pianist. 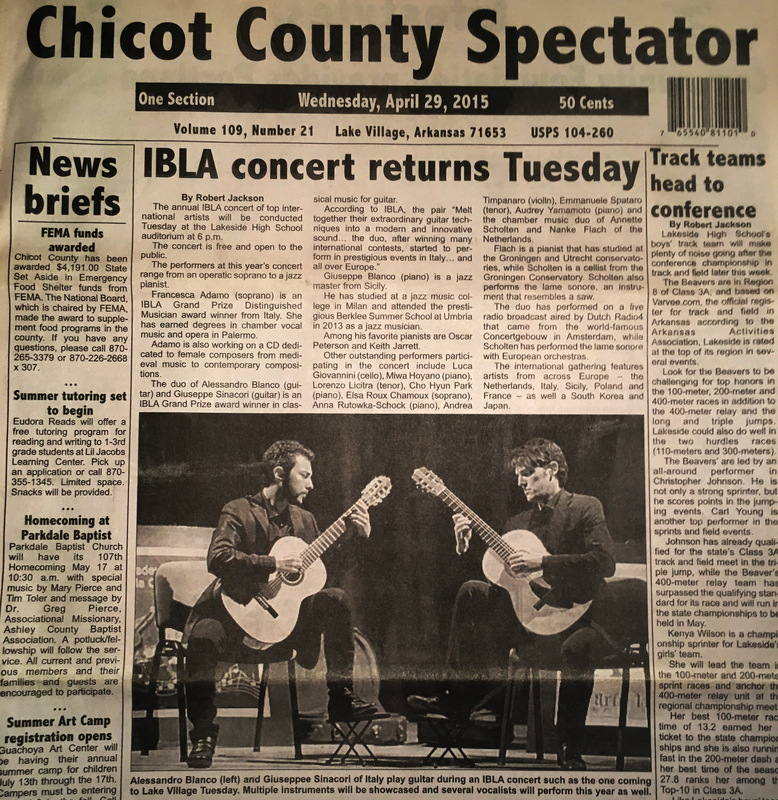 The Duo of Alessandro Blanco (guitar) and Giuseppe Sinacori (guitar) is an IBLA Grand Prize award winner in classical music for guitar. 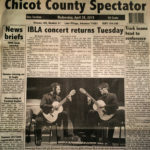 According to IBLA, the pair “Melt toghether their extraordinary guitar techniques into amodern and innovative sound… the Duo, afetr winning many International contests, started to perform in prestigoius events in Italy… and all ovr Europe.